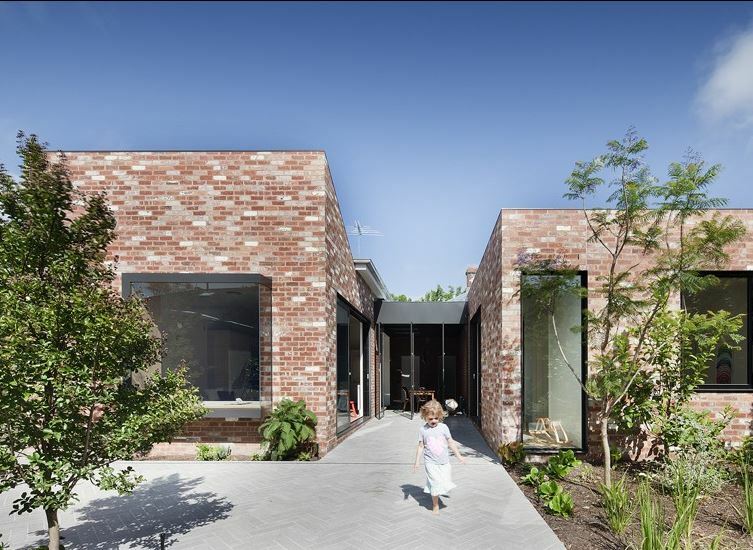 Clare Cousin Architects has designed an extension to a double-fronted Victorian villa. The end result is an impressive example of very contemporary minimalist architecture blending in with the old. 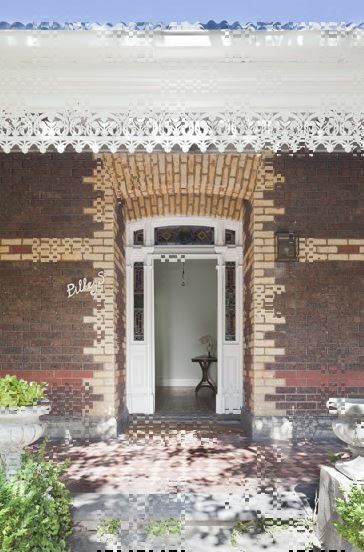 The historic façade boasts the traditional polychromatic brickwork and a portico fringed by laced iron. Other Victorian features include baltic pine floors, stained-glass windows and decorative plaster ceilings. Materials for the new section such as brick and timber connect with the palette of the original house. 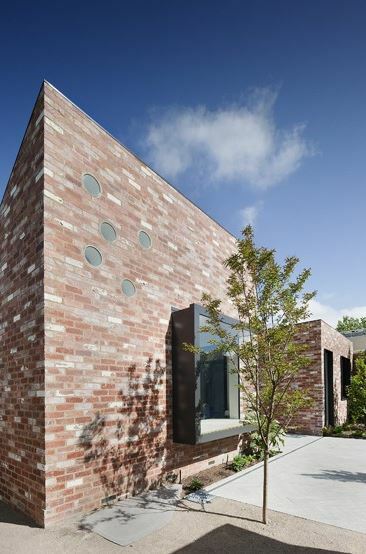 The walls are recycled brick; the mixture of painted whites and shades of reds creating a subtle contrast to the existing home’s red brick façade. Timber floors are used throughout. A series of insertions injects light deep into the plan. The design extends the two wings established in the original plan into living and sleeping zones. 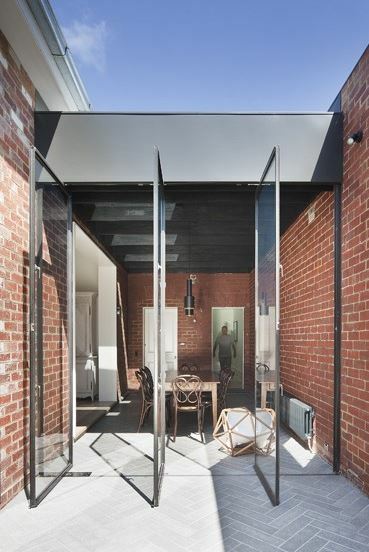 The in-between space creates a dining room and courtyard that invites the outdoors into the centre of the house. The courtyard allows northern light into the living and kitchen zones and visibility through the house to the sleeping wing. 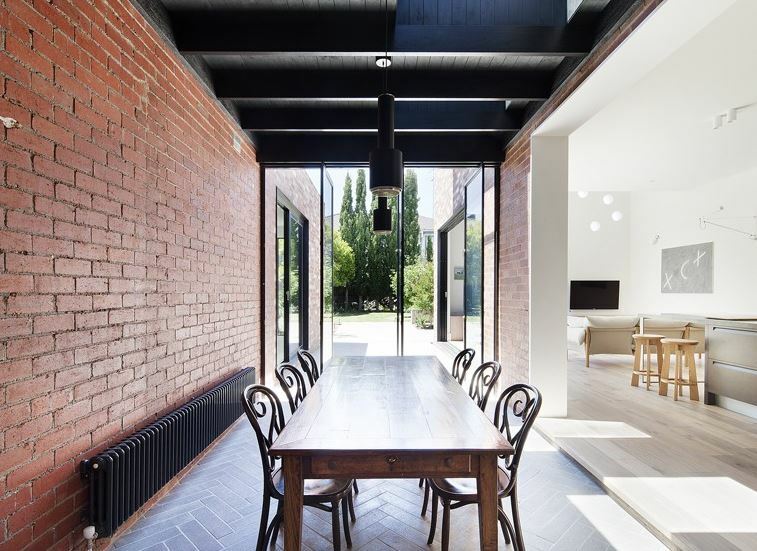 The dining space is treated as a simple shelter over an outdoor space, with the roof set below the existing eaves and incorporating skylights so the occupants can view the eaves of the original building from within the space. The proposed design: “aims to reveal the materiality of the original house, including stripping back the paint of the once-external walls that surround the dining space to reveal the period construction’s footprint.” Herringbone paving extends from the dining room into the backyard, and fine steel-framed pivot doors disappear from view when open to further dissolve the threshold between inside and out. To anchor the extension to the period house, the roof form of the living space plays with the existing hip roof form, reversing the form of the original lean-to. The architect talks of how the new design retain the “celluraity” of the original house rather than following a more typically open plan. The new floor plan has divided the house into a number of closeable spaces. Victorian ideals have been maintained, but more importantly the plan suits the lifestyle of the family that lives there.